The Fairmont Resort Blue Mountains is only approximately a 90minute drive from Sydney, making this a perfect weekend getaway. 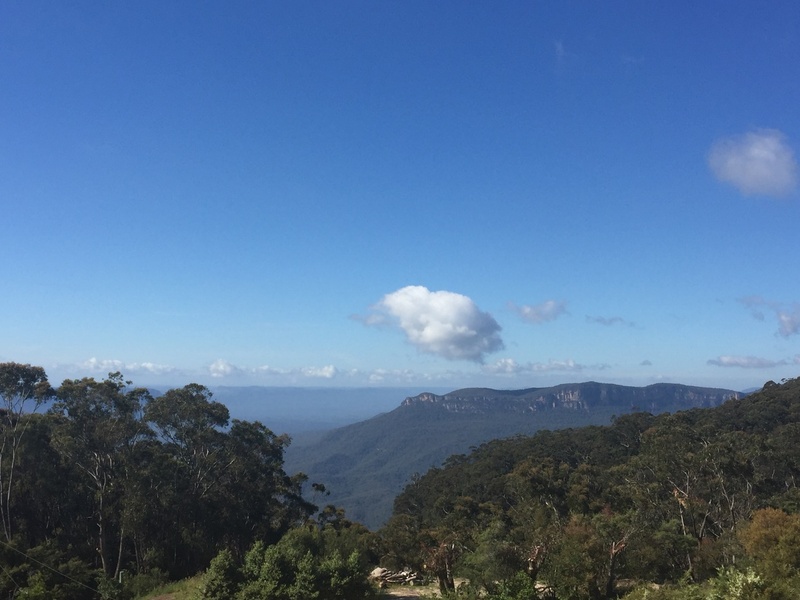 The Fairmont Resort Blue Mountains is set on 9.5 hectares on the cusp of the majestic Jamison Valley in the World Heritage-listed Blue Mountains National Park. Offering premium accommodation in Leura. 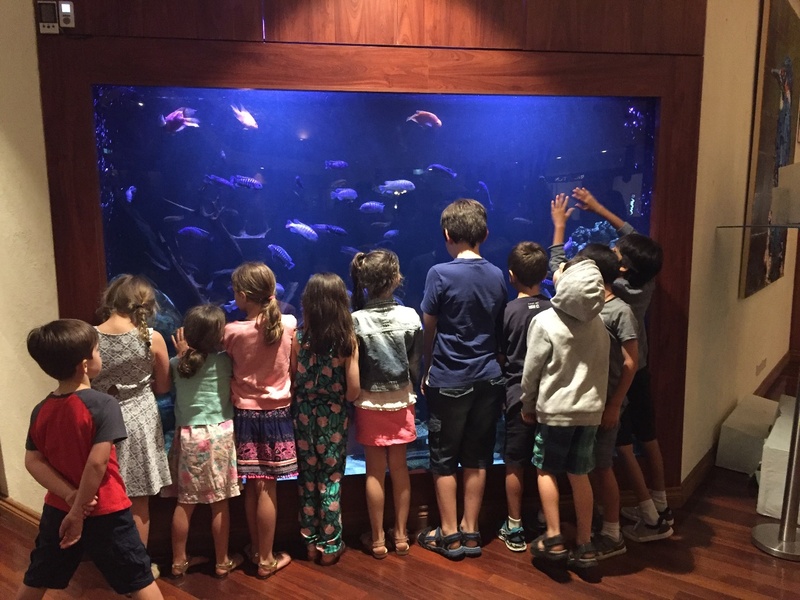 Upon entering this grand lobby one is in awe of the most panoramic views overlooking the Jamison Valley while the kids on the other hand are completely mesmerised by the amazing fish tank located in the lobby. Our family has had the pleasure of visiting this resort several times, visiting during winter and summer seasons. During our visits regardless of the season our family has had an amazing time. Each visit enjoying new enhancements targeted towards families. Since the change of ownership in 2010, the resort was purchased by the Schwartz Family Company. The resort is managed by the ACCOR GROUP and is part of the prestigious MGALLERY by Sofitel brand. This 4.5star resort has certainly found its family fun mojo. 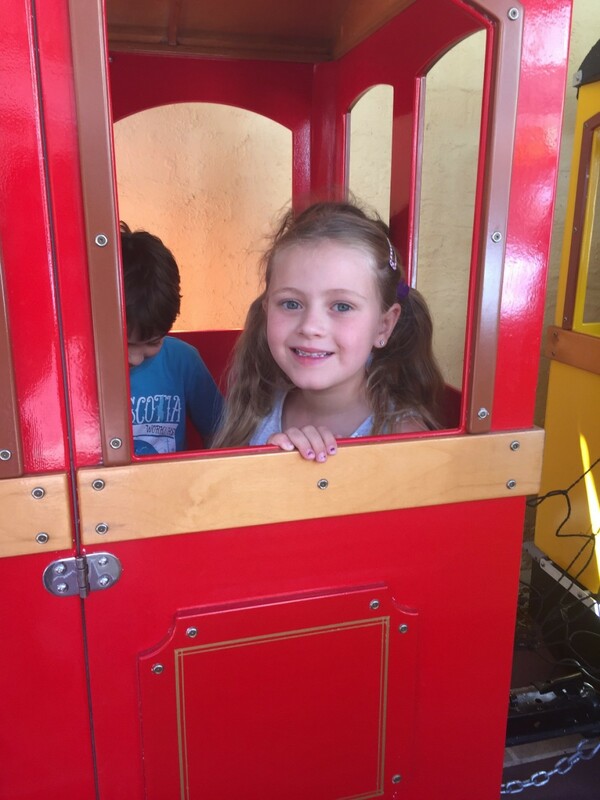 Since the new ownership in 2010 introducing the KidsZone Conept, which includes childrens rides on the Fairmont Express Train, Merry-Go-Round, Electric Cars, the new pony stables and pony rides, two indoor age appropriate games rooms, mirror maze, bowling and arcade alley. The resort runs school holiday programs and new to the Fairmont Resort this upcoming Summer School holidays is Kidz Klub. With a variety of leisure facilities on offer, families are spoilt for choice with an endless list of activities to be enjoyed. Whether it be exploring the extensive 9.5 hectare grounds and gardens, a leisurely game of golf or tennis there is sure to be something to appeal to everyone in the family. 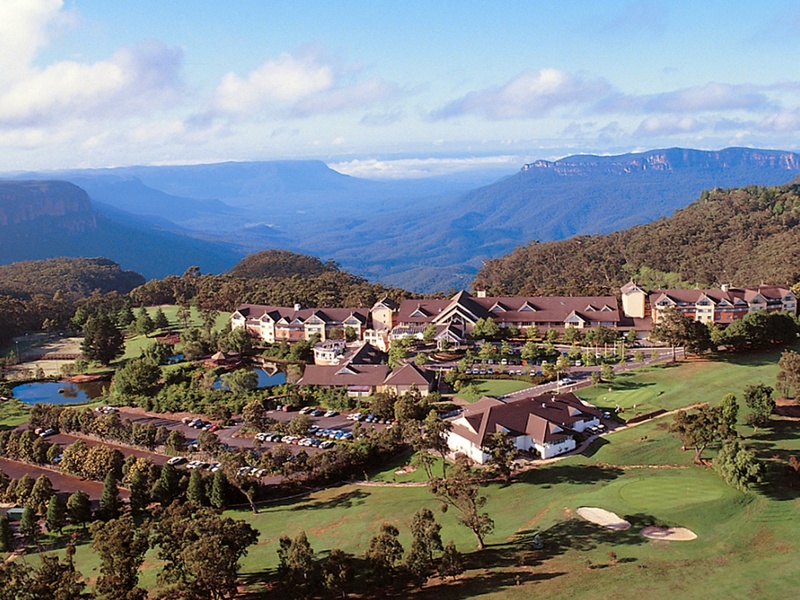 The Fairmont Resort Blue Mountains have got the family covered when it comes to enjoying some family fun time. 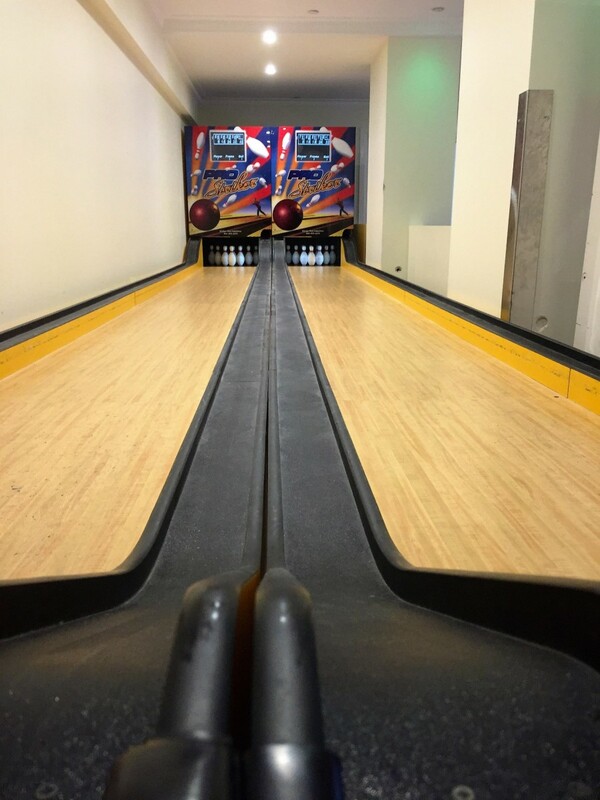 Rain hail or shine you will find something to do with the family. 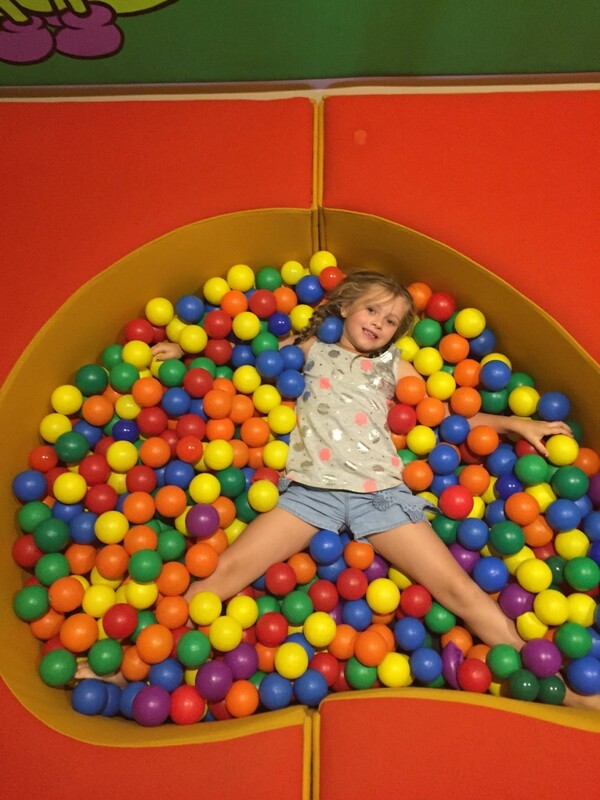 The KidsZone indoor games rooms has always proven to be well received by the children, there are two rooms Danes Room for under 4’s and Magic Kingdom for 5-13yrs included in these age appropriate play areas are ball pits and slides, a mirror maze, indoor bowling, arcade alley and table tennis these activities are all included in your stay. (nb: arcade games require coins). 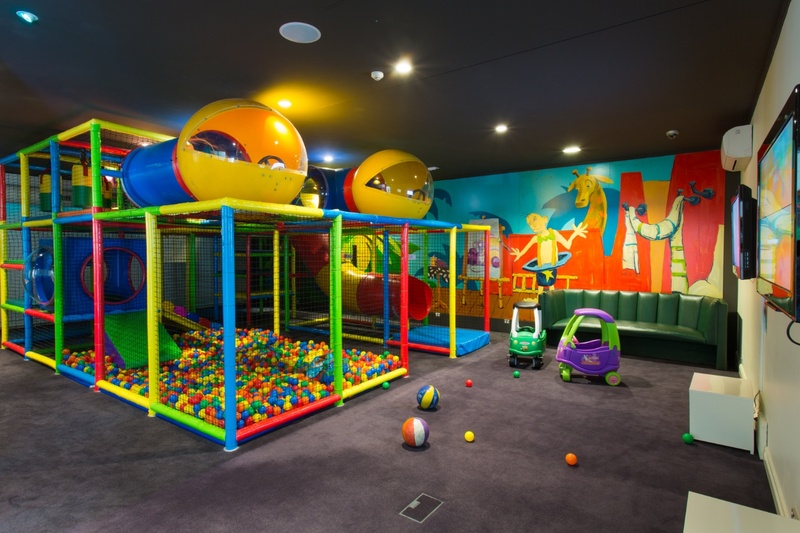 The KidsZone indoor games rooms are great place for the kids to run around if the weather isn’t so kind outside or burn off some energy after dinner. A recent addition to the Fairmont Resort Blue Mountains is a gorgeous stable and ponies. 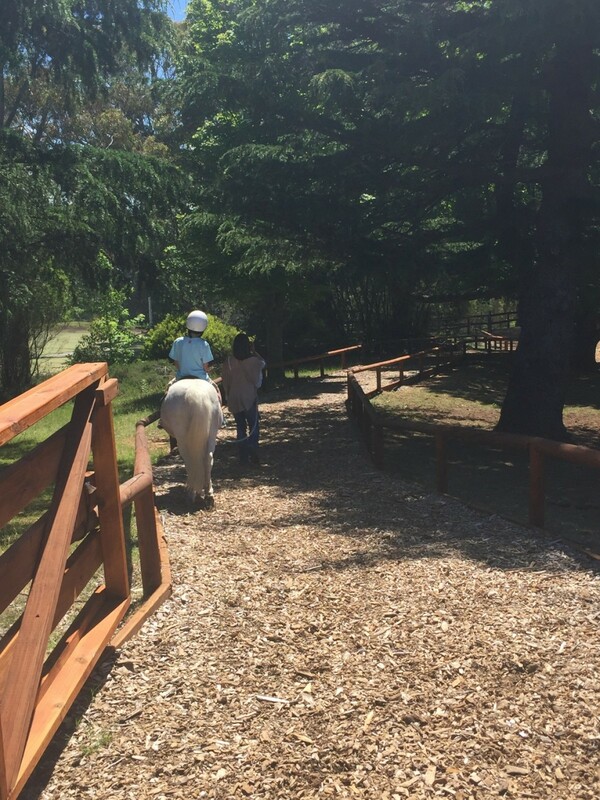 The children can enjoy a hand led pony ride around the paddock (this is an extra small fee). All of our kids on our recent visit absolutely enjoyed the pony ride and being outside exploring this amazing property. 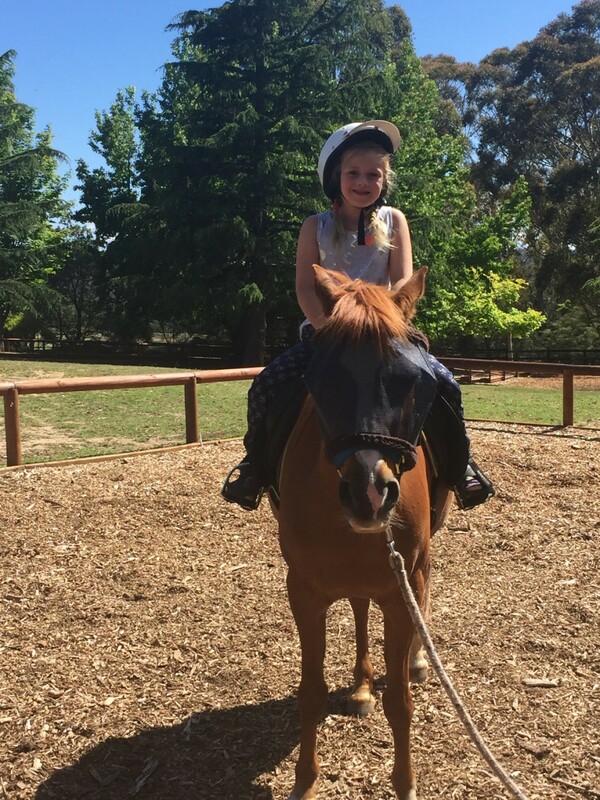 Summer enjoying her first ever pony ride – all smiles. The fun doesn’t end here. 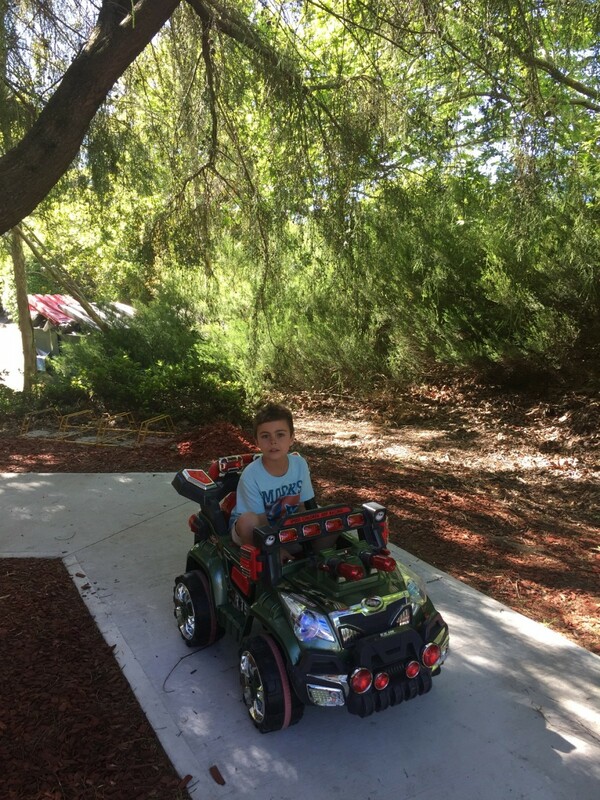 The resort also offers the children a ride on the Fairmont Express Train around the property, this runs at specific times throughout the day as well as a merry-go-round and electric cars. Make sure to book your children for these activities, this can be done at the concierge desk (each of these activities incur a small fee) definitely well worth it. 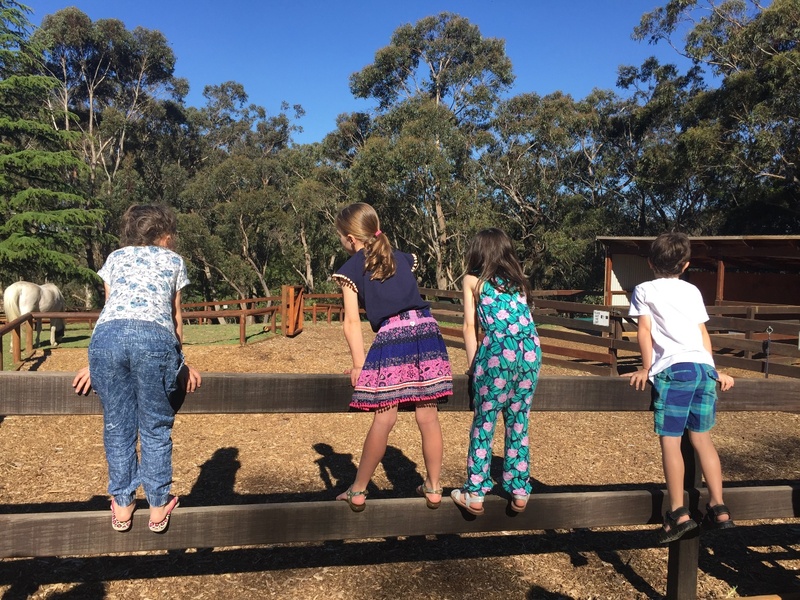 On our recent visit with four other families we booked all our children into these activities, all the children had a blast. 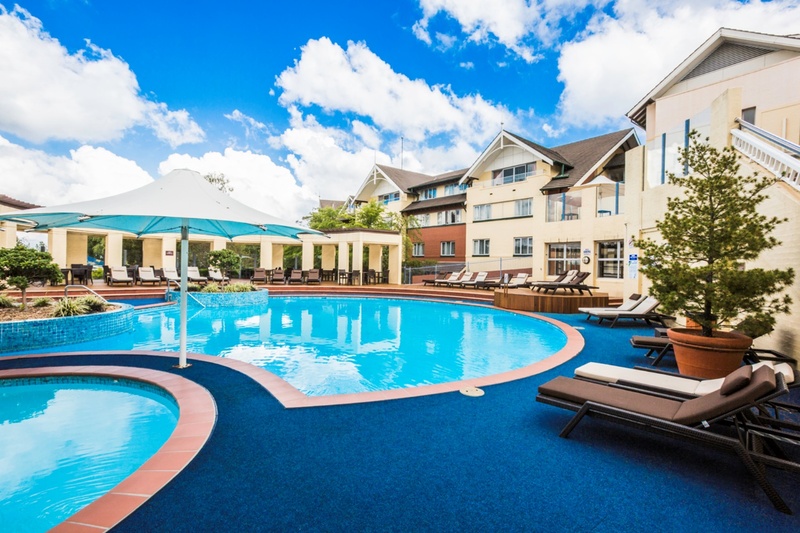 The Fairmont Resort Blue Mountains offers two swimming pools an outdoor pool and deck for the warmer months and an indoor heated pool and spa for those chilly months. During our recent visit all the children spent hours swimming going from one pool to the other. 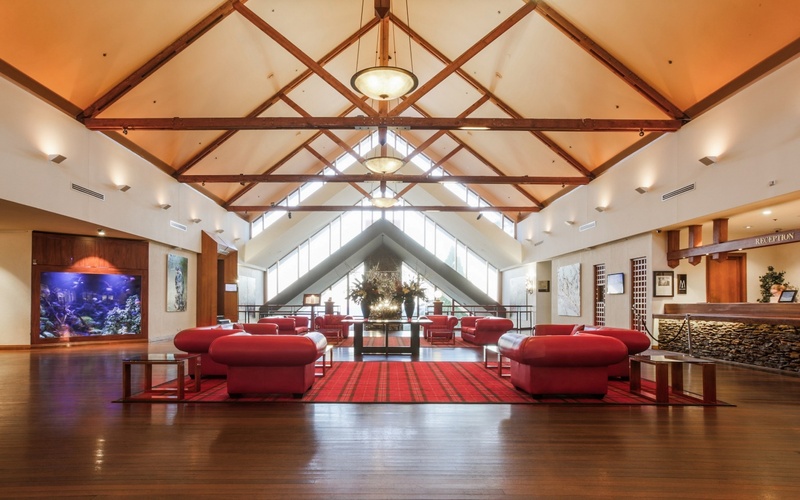 The resort has a fully equipped gymnasium, tennis courts and for those keen golfers in the family enjoy a game of golf at the adjoining Leura Golf Club. All the boys enjoyed an afternoon of 18holes and a cold beverage at the Leura Golf Club during our recent visit. 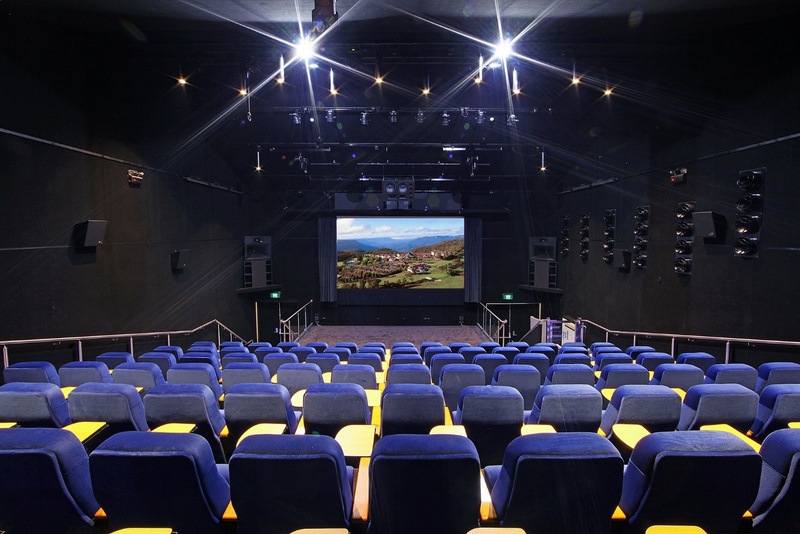 The Resort also has a billiards room and library as well as cinema that seats 128. 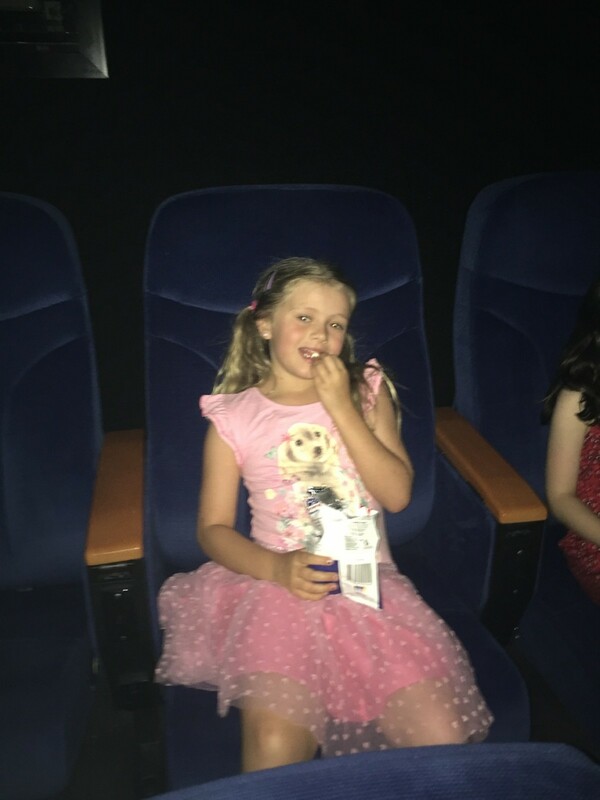 On our most recent visit with 4 other families our 11 children in total were fortunate enough to enjoy an evening film after dinner. This was fantastic. 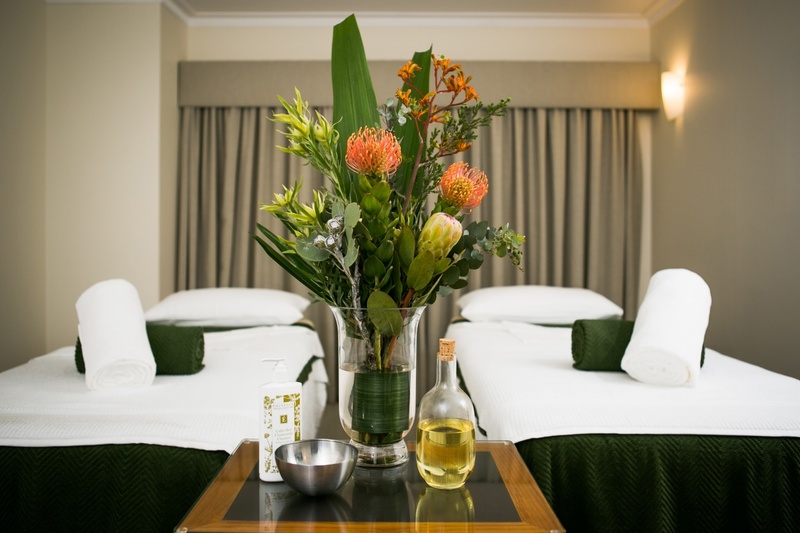 Looking to be pampered and regenerate, the Resort Ubika Spa offers an extensive spa menu featuring a diverse selection of therapies such as massages, facials and full body experiences. The resort is currently in the process of upgrading its Day Spa facilities with construction of the new Day Spa facilities due for completion by mid – 2017. The new Day Spa will have 12 treatment rooms offering a full day spa experience. Services including massages, facials, full body experiences as well as catering to individuals, couples or groups (girls/mums weekend away). I am looking forward to this as am yet to indulge in the resorts Day Spa services a definite to put on the list for next visit. 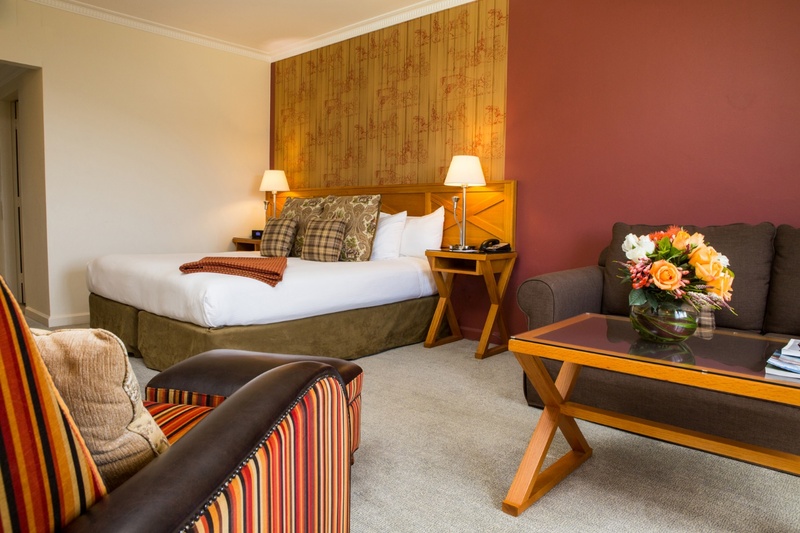 The Fairmont Resort offers 222 accommodation rooms and suites with views of the Jamison Valley, the gorgeous green fairways of the adjoining Leura Golf Club or the resort gardens. In 2015 the resort made an addition of 12 new accommodation rooms and suites bringing a touch of opulence to the existing charm of the resort rooms. Accommodation room options include a standard room with choice of bed configuration 1 King, 2 King Single beds or 2 Queen beds, located on the lower levels. Superior rooms are located on the higher floors with the same bed configuration offerings as a standard room. Courtyard room allowing great access to the resort grounds to and from your private courtyard. Bed configuration options for this room type are 1 King or 2 King Single beds. For those whom are looking for a little more luxury and comfort the options of either a Deluxe Room located on the upper most floor offering a private balcony OR a luxurious spa appointed with 1 king bed and sofa bed. The Junior Suite is a spacious studio with open plan lounge and bedroom with 49sqm, enjoying the private balcony with scenic views of the tennis courts and maze. For those families who need a little extra room the Family Suite may be just what you are looking for these spaciously appointed rooms with a separate parents room that features a king bed and two single beds for the kids located in the lounge area. Having stayed at this resort numerous times over the last few years we have opted for either the Superior Room or Deluxe Room and had a comfortable stay each time. Each room type being more than adequate for a family of four. With a choice of five dining locations at the resort, the Fairmont Resort Blue Mountains offers a culinary experience from the entire region offering guests a selection of dining options to suit any occasion. The Fairmont Resort Blue Mountains food philosophy is centred on providing simplistic, warm comfort food with fresh and authentic tastes of the Blue Mountains region and beyond. 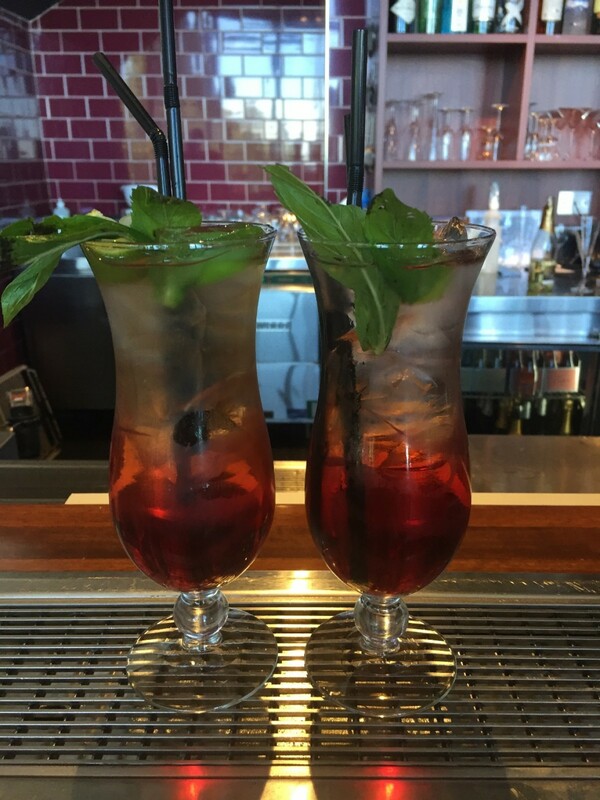 Should you desire a High Tea experience or evening drinks and night cap the Sublime Lounge is a warm casual area to relax with friends and family. A casual dining experience at Embers whilst sitting by the open fire and amazing view of the Jamison Valley. Looking for something more intimate dining at the Eucalypt Restaurant may just suit your needs. Enjoy lunch before or after a game of golf at Leura Golf Club Bistro. During our recent visit we were celebrating three childrens birthdays. We dined at the Embers Restaurant. Our reservation was for 10 Adults and 11 children. The service was very good and the food was delicious. The childrens menu offered a great selection of meals. Our children opted for grilled steak and steamed vegetables, fish and chips, beef burger served on a brioche bun with steamed vegetables and chips, grilled chicken with steamed vegetables, pizza and spaghetti Bolognese, all meal portions were very generous and all 11 children were very satisfied. 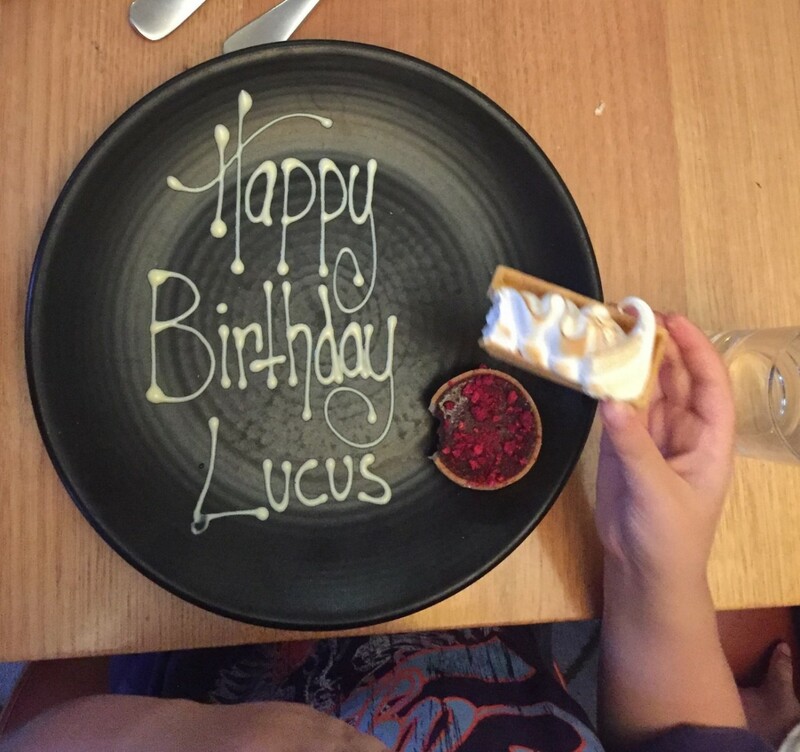 As we were getting ready to arrange desert orders the resort had arranged special birthday platters for the birthday girl and birthday boys, this was a really lovely gesture. Each morning guests enjoy a beautiful buffet breakfast at Jamisons Restaurant overlooking the Jamison Valley. Papers are offered as you enter the restaurant for you to read at your leisure and if like myself you enjoy your morning coffee, a barista is on hand to ensure you are well fuelled for the day ahead. We really enjoyed each morning, taking in the amazing view over a leisurely breakfast. 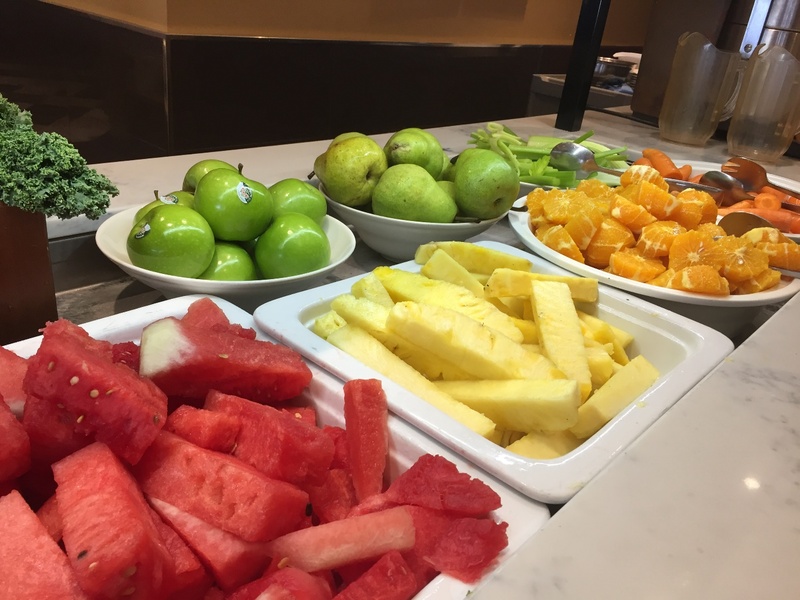 Our kids loved making their own fresh juices each morning full of fresh fruit and vegetables. The breakfast on offer each morning at the Jamsions Restaurant offers a selection of bakery items, cereals, fresh fruit and yogurts. Self-serve juice bar and an interactive cooking station where guests can chose how they wish to have their morning eggs to accompany a selection of hot items from the grill. 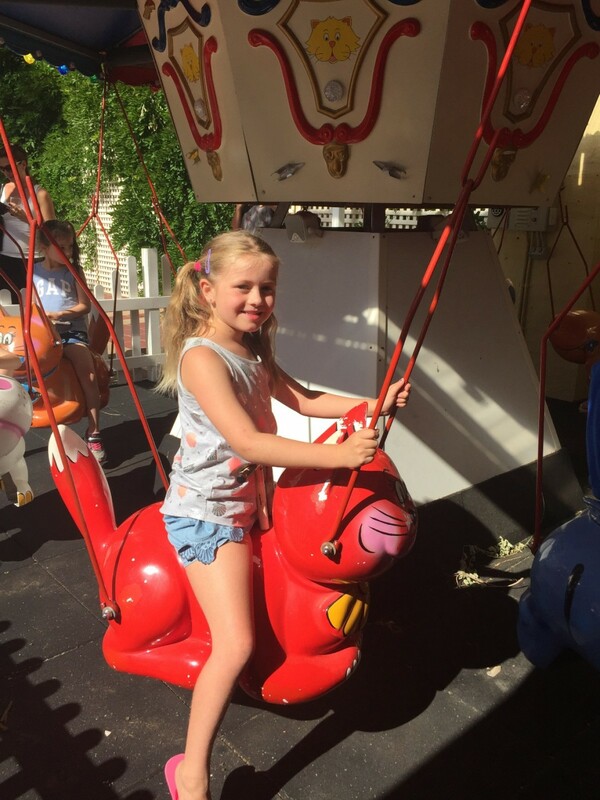 Final Note – Should you be looking to enjoy some quality time away with your family or extended family and friends I highly recommend a visit to this family friendly resort. Only a 90minute drive from Sydney makes this an ideal weekend getaway. 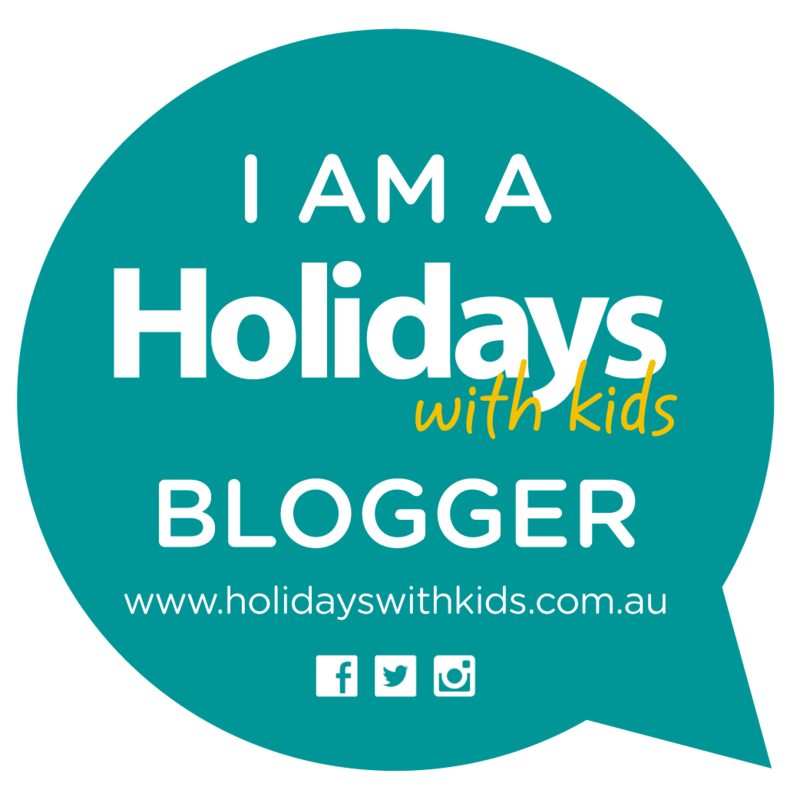 SPECIAL OFFER - The Fairmont Resort Blue Mountains is offering all Family Travel Blogger Readers a 10% discount off their next stay. All you need to do is call the direct team (02 47850000) Fairmont Resort Blue Mountains and mention Family Travel Blogger when making your reservation. Enjoy this article? Why not share it? Family Travel blogger is a leading family travel and lifestyle site created by Coralie Parsons. If you are looking for some inspiration to get you checked in on your next family holiday you have come to the right place. Family Travel Blogger is designed to share travel experiences, travel tips, interviews with industry professionals, restaurant, accommodation and airline reviews to assist you to create extraordinary travel experiences with your family.